Happy 45th anniversary of Moon landing! It’s been quite awhile. My regular job has turned out to be extremely busy but here are some of the latest developments that have occurred in the last few months. My M1 image is featured on the cover of Reflector Magazine. That’s cool. Not an APOD image but definitely a step up! 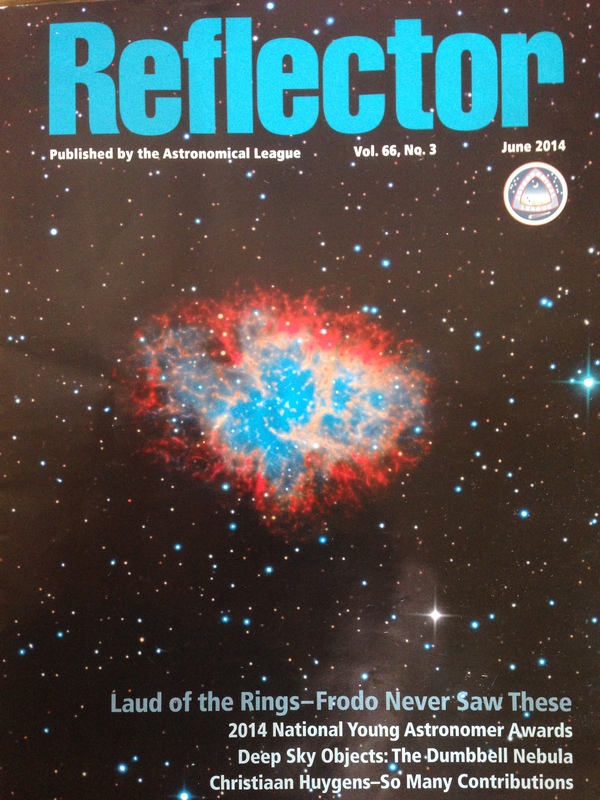 This magazine is a quarterly publication of the Astronomical League which is a consortium of 20,000 amateur and professional astronomers throughout the world. The 2015 ALCON (Astronomical League Conference) is going to be held right here in Las Cruces, New Mexico! Much more on this in the months to come! 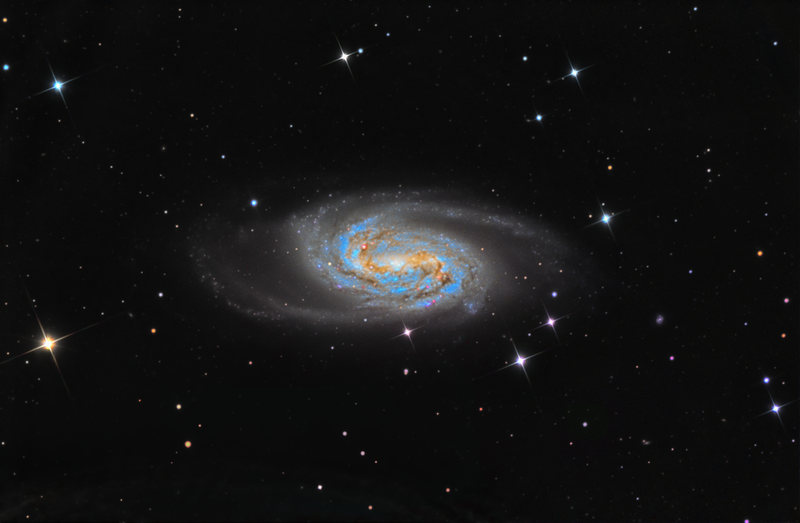 Final version of NGC 2903 is completed. I went back into Pixinsight and worked some more on sharpening. You can compare the 2 versions on the image website. Just click on “My astroimages” For those of you using PI for processing, my quick tip of the day is to use the process ATWTV1 (Atrous wavelet) for your sharpening rather than ATWT or MMT as it seems to make the changes with the least amount of collateral damage from what I have seen. On the education and public outreach front, I have been entrusted with operation of the observatory at the Leasburg Dam State Park for the Astronomical Society of Las Cruces . We do a monthly public showing up there. Last night we had a great turnout and got some great images with the Mallincam video camera. I didn’t have much experience with video astronomy until I moved here but I am amazed at how much better the technology is! The ASLC (Astronomical Society of Las Cruces) has a Mallincam attached to a 100mm Williams Optics refractor. 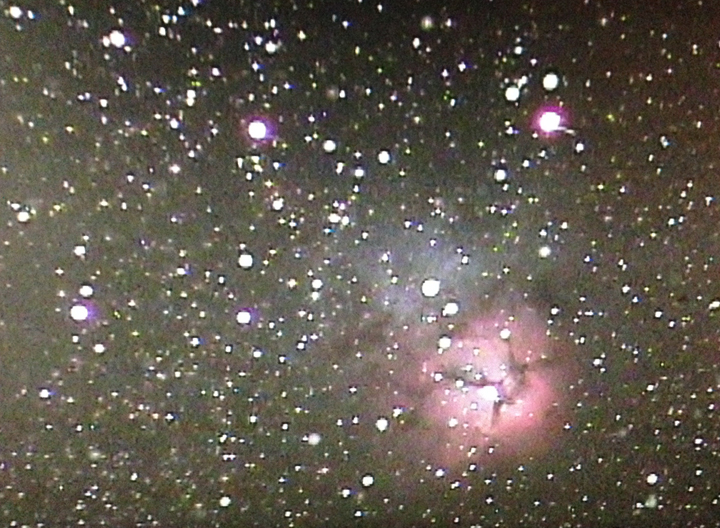 Here is a quick screen shot of the Trifid nebula which was obtained with just a 20 sec exposure! 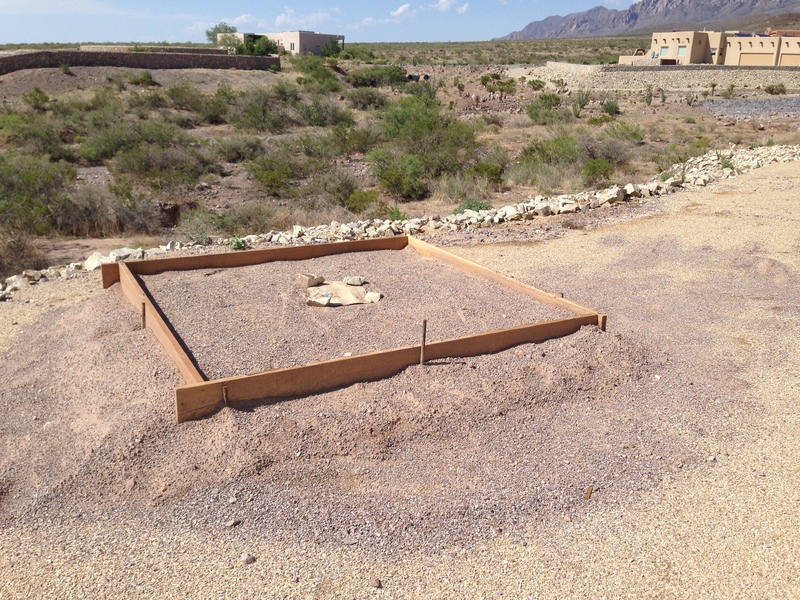 Finally the Talavera Space Hut (my own backyard set-up) has officially broken ground! We are building an 8 foot square roll-off roof structure! And that’s all folks for now! Stay tuned for more and thanks for reading!